was funded with the support of the European Union under the Programme "Europe for Citizens"
Applicable to the Strand 2 - Measure 2.3 "Civil Society Projects"
Showcase different examples of volunteering such as European Voluntary Service, FSJ: Freies Soziales Jahr (Free Social Year), KSJ: Kulturelles Soziales Jahr (Cultural Social Year), ÖSJ: Ökologisches Freies Jahr (Ecological Free Year), Bufti: Bundesfreiwilligendienst (Voluntary Service in Germany), International Work Camps etc. Throughout the two days of the event, the participants attended workshops, round tables and presentations on volunteering and civic participation on an EU level, and were also presented with informative material from Europe Direct and from several youth and voluntary NGOs from Germany. There was an information desk called KIOSK EUROPE which included a stand with easy & targeted access to information about the EU featuring publications such as "Guide to EU Institutions", "Europe for You, for Your Rights", etc., infographics about European institutions. Moreover, there were discussions featuring questions on the general objectives, specific aims and annual priorities of the Programme, such as: how to encourage democratic & civic participation of citizens at EU level; what needs to be done at local, regional and national level to develop citizens' understanding of the EU policy making process; what are the tools to promote opportunities for societal & intercultural engagement at EU level; and how to boost volunteering. In addition, there was a presentation and round-table discussion on a Europe for Citizens project – Strand 1: Remembrance with the title Bridging Generations which involves young people, adults and senior citizens from Germany, Greece, Hungary, Italy and Poland where senior citizens, from the countries involved in the project, narrate their stories and experiences from WWII. This way, young people learn more about WWII from a personal perspective and become aware of the importance of the European Union and its role regarding peace, solidarity, acceptance and cultural diversity. The young people who participate in this project and are members of Jugend- & Kulturprojekt e.V. - the organizer of the DOCPIE event in Dresden, shared their experiences with reference to meeting senior citizens who lived during the war; doing a research on historical and sociological facts about WWII; organizing events concerning memories of WWII and the commemoration of WWII in different cities in Europe. This way the attendants of the international fair, the international participants and the local people reflected on the EU values such as peace, well-being of EU citizens and cooperation. During the International Fair NEXT STEP questionnaires regarding the survey on European identity and the EU citizenship, which is an initiative of the DOCPIE project, were distributed to local people where mostly young people showed great motivation to fill them out. The last day all international partner analyzed and discussed each question of the survey and several modifications were made. Additionally, an exhibition with the title The ties of Friendship took place in Deutsches Hygienes Museum in Dresden where the international participants had the opportunity to see and observe art works which promote friendship and understanding. The Exhibition explored what constitutes various concepts of friendship and what they mean – for the individual, but also for society as a whole. In order to promote intercultural exchange most international participants were asked to bring national delicacies which was a good occasion to get to know each other's culture and taste local and national food which always is the key to bring people together. 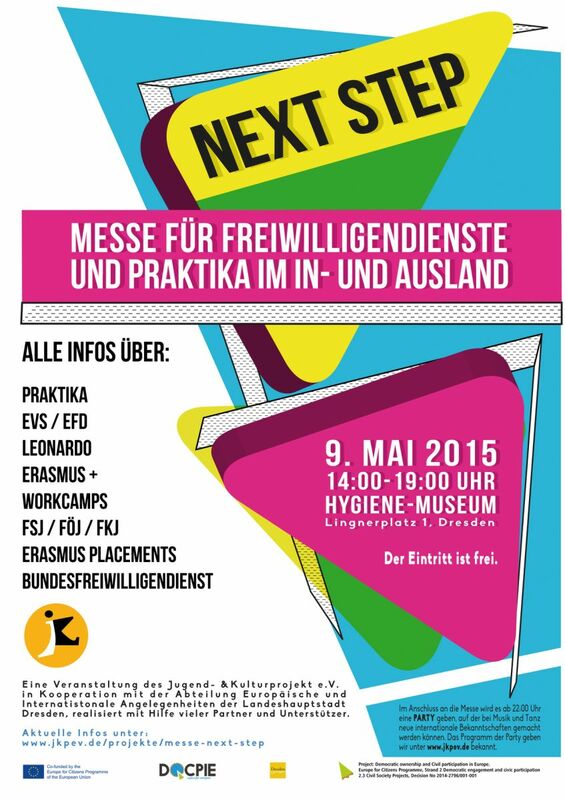 Everything on the informing young people about civic engagement and youth participation in Europe and about what kind of opportunities are offered to young people in volunteering you can find in PP presentation which Myrto Helene Pertsinidi from Jugend- & Kulturprojekt e. V present on next Step fair in DOCPIE Dresden event on May 9 2015. Event No. 2, VOLUNTEER ACADEMY DRESDEN will take place between May 8-10 2015 in Dresden, Germany. 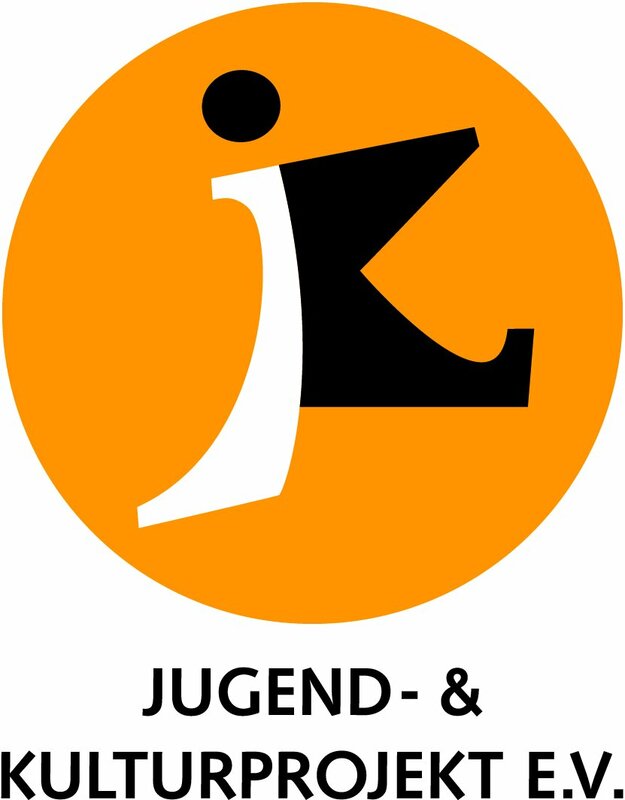 Organizer of the event is Jugend- & Kulturprojekt e.V. Here you can finde AGENDA of the event, which will take place betwen 8. and 10. may. In Dresden we will also speak about next event in Serres Greece, wich will take place betwen 30th of June and 2nd July.